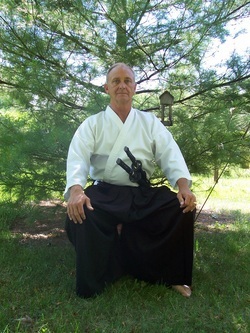 Chris Modderman started taking Aikido classes in 1996 from Sensei Ron Boyd as a student at Eastern Kentucky University. After a semester on campus he combined the campus classes with Sensei’s Dojo classes (off campus). 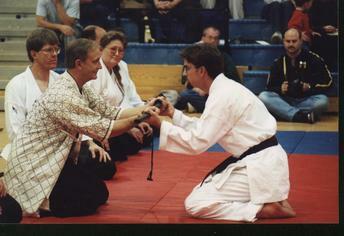 After graduation continued training in the Dojo and in the fall of 2000 was awarded Shodan or first degree black belt. Chris started teaching Aikido at the St. Johns Community Center in 2007. In 2010 he started teaching at the Odd Fellows Hall on North Lombard. 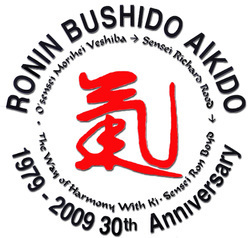 This club is affiliated with Ronin Bushido Aikido. Sensei Ron Boyd is the founder and Chief Instructor. This is where I got my start and remain close with them. We are honored tbhat our lineage is so direct. My teacher was/is Sensei Ron Boyd of Richmond, KY. Sensei Boyd has been teaching Aikido since 1979 through the Ronin Bushido club system, various schools districts, police organizations, corrections departments, etc. His teacher was Sensei Richard Rood who traveled the country and the globe to learn martial arts. Sensei Rood started in Aikido in Hawaii under Sensei Koichi Tohei. 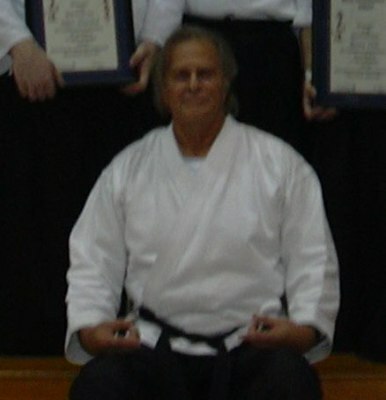 While there he was awarded his Shodan rank (1st degree black). From there he was invited to the headquarters in Japan for further study. He met and continued to train with the founder O’Sensei, Kisshomaru Ueshiba (son of the founder), Sensei Mitsugi Saotome, Sensei Yoshimitsu Yamada among others.